Is politics in his future? 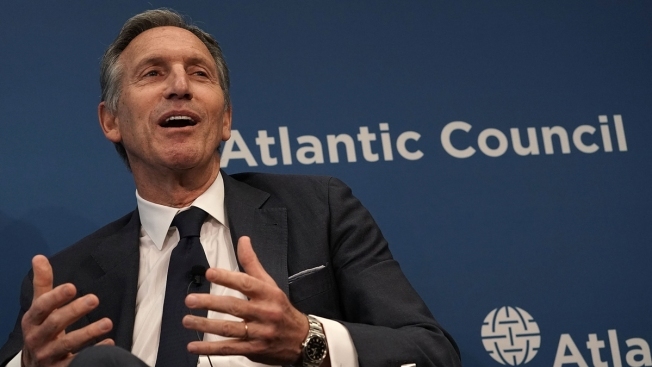 Howard Schultz participates in a discussion at the Atlantic Council May 10, 2018, in Washington, DC. Schultz is seen as the architect of the modern Starbucks, having overseen its expansion from a single coffee shop that opened in Seattle's Pike Place Market in 1971, CNBC reported. He joined Starbucks in 1982 as director of operations and marketing. Over time he grew it into the iconic brand it is today, with more than 28,000 locations globally. Schultz's latest leadership transition sparked speculation about his potential political plans: He has been a supporter of former President Barack Obama and Hilliary Clinton during her bid for president. Some have already questioned whether he would pursue his own presidential run.